Classical field theory, which concerns the generation and interaction of fields, is a logical precursor to quantum field theory, and can be used to describe phenomena such as gravity and electromagnetism. 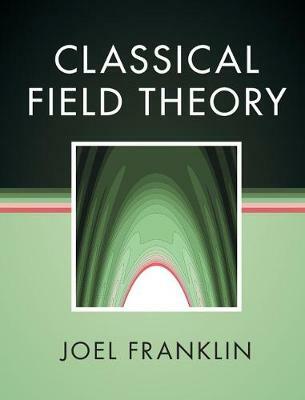 Written for advanced undergraduates, and appropriate for graduate level classes, this book provides a comprehensive introduction to field theories, with a focus on their relativistic structural elements. Such structural notions enable a deeper understanding of Maxwell's equations, which lie at the heart of electromagnetism, and can also be applied to modern variants such as Chern-Simons and Born-Infeld. The structure of field theories and their physical predictions are illustrated with compelling examples, making this book perfect as a text in a dedicated field theory course, for self-study, or as a reference for those interested in classical field theory, advanced electromagnetism, or general relativity. Demonstrating a modern approach to model building, this text is also ideal for students of theoretical physics.